All Alone Garage specialise in all aspects of car servicing, mot testing, clutch repairs, brake servicing to name a few of our services. We have a fantastic track record and a very long list of satisfied customers because of our attentiveness and efficiency when working on your vehicle. Keeping your air conditioning system in good working order is important, you don’t want it to be summer and you switch on your AC only to find luke warm air coming out. Also during winter the system can be neglected so it’s also important to have it checked before summer begins. 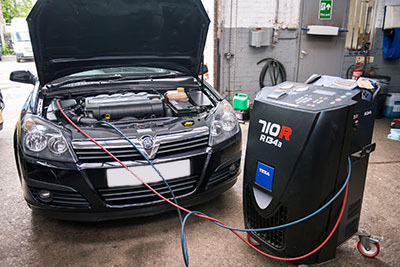 Bring your car to All Alone Garage in Bradford and have your air conditioning serviced and topped up so you can be cool in summertime. We are located in Bradford so drop by or give us a call for a quote on 01274 618093.